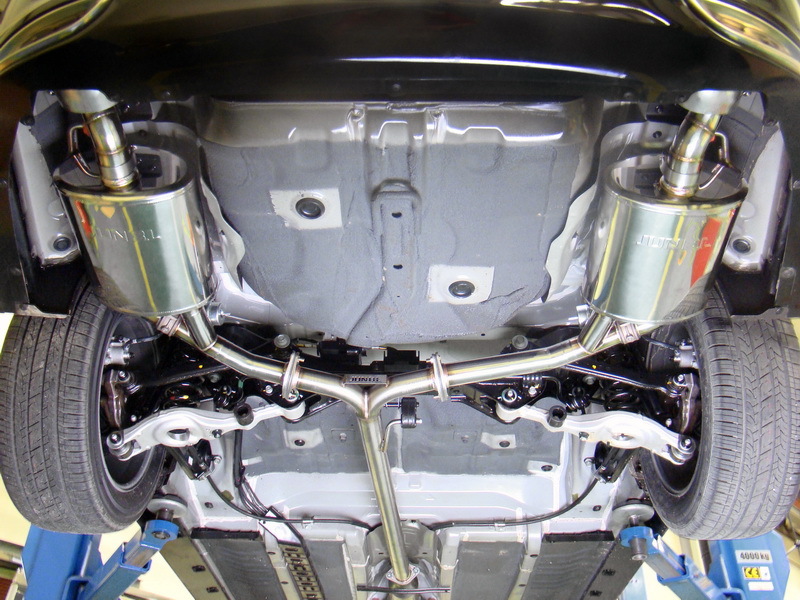 EVC model Jun B.L exhaust system for the 2012+ Hyundai Azera (3.3L, 3.0L, 2.4L) with built-in variable-sound actuator assemblies. The actuator assembly allows the driver to change the sound output of the exhaust from inside the cabin of the car with a switch that gets installed inside. This is a 100% perfect bolt-on system that requires no modification or welding at all. Direct OEM replacement that will free up valuable hidden horsepower within your car and increase performance while reducing fuel consumption. The sound is deep and aggressive all the way up through redline. The highest quality exhaust system on the market! No ground clearance issues since the muffler sits up within the lower alcoves of the car's underside. 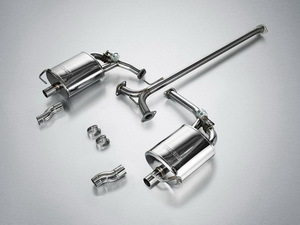 - Dual-outlet rear section exhaust with performance mufflers & mid-pipe. 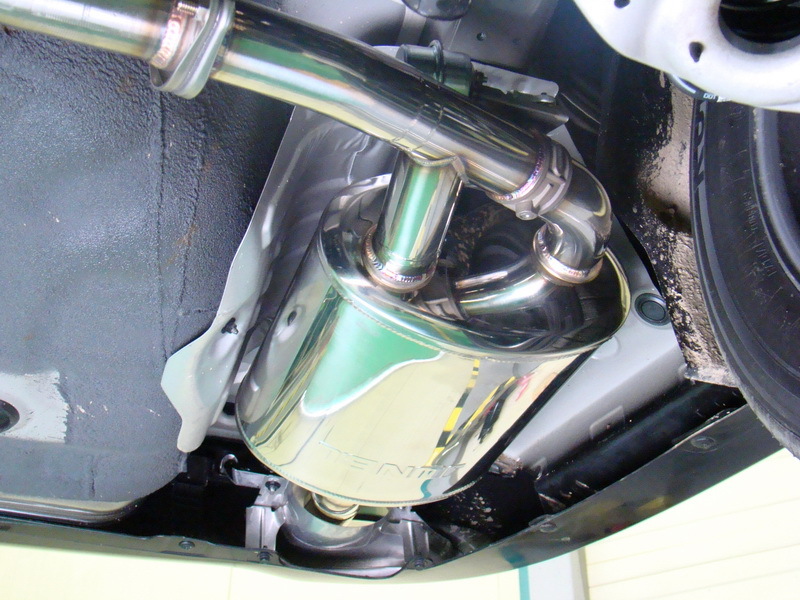 - Polished muffler through-type tips with a standard brushed finish. - Polished stainless steel construction (SUS-304). - True dual piping, actuator assemblies. - CNC-machined flanges with 3D bends. Shipping: This item is shipped direct from our Korean office. Shipping times will differ depending on the location and will take approximately 10-20 days. Certain international areas of the world, such as the Middle East, South America, Puerto Rico, etc may have size restrictions or require additional delivery fees. Please contact sales@importshark.com for detailed information if you have any questions regarding this.